The final stages of World War II in Europe saw the Allied powers of Britain, the United States and the Soviet Union divide much of Europe. British and American forces invaded and captured German territory from the west, while the Soviet Union invaded Germany from the east. A pair of Allied peace conferences at Yalta and Potsdam determined the fate of Germany’s territories. At these conferences, the Allied powers decided to split the defeated Germany into four “allied occupation zones”. The eastern part of Germany went to the Soviet Union, while the western part went to the United States, Great Britain and France. Germany would be divided into eastern and western portions for almost the next five decades. Winston Churchill, Franklin Roosevelt and Joseph Stalin at the Yalta Conference. The capital city of Germany, Berlin, was located about 100 miles inside of the Soviet controlled territory of Germany. 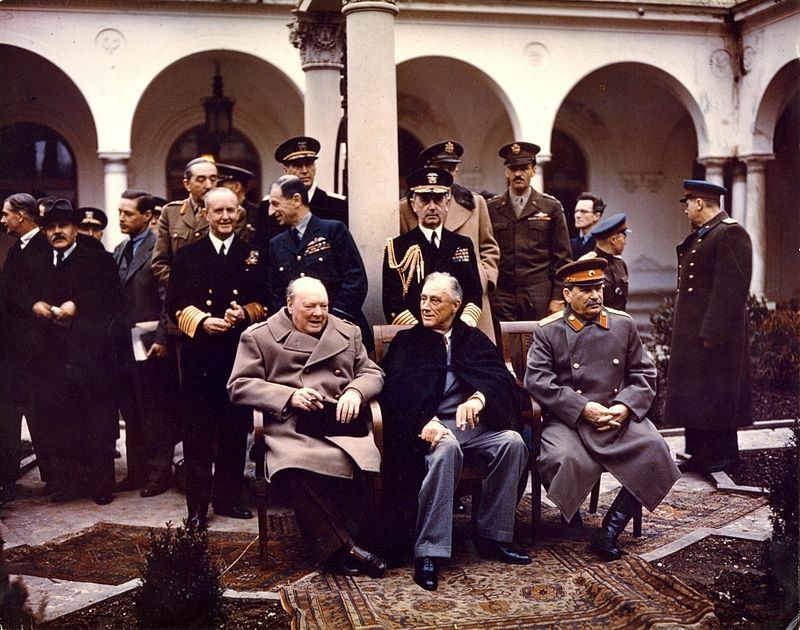 However, the earlier agreements at the Yalta and Potsdam conferences guaranteed that the city would be divided into four zones as was the country. 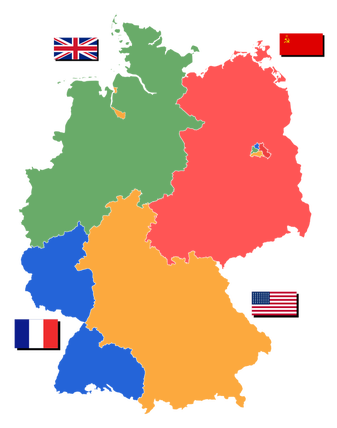 Therefore, Berlin was divided into four zones between The United States, France, Britain and the Soviet Union. The Soviets took the eastern half of the city while the other three nations took control over the western half. The city of Berlin would come to be a hotbed of Cold War tensions between the Soviet Union and the United States. The two countries had the competing ideologies of Communism in the Soviet Union and Capitalism in the United States. The existence of a capitalist sector inside of Soviet controlled East Germany angered the Soviet’s. Tensions in the city first erupted in 1948 when the Soviet Union tried to blockade the city and starve the western half of Berlin from receiving supplies. The United States and its allies withstood the blockade by carrying out an unprecedented airlift of supplies to the western half of the city. The Soviets were eventually forced to end the blockade of the city in 1949, but the effect of the Cold War tensions left a legacy in the city. 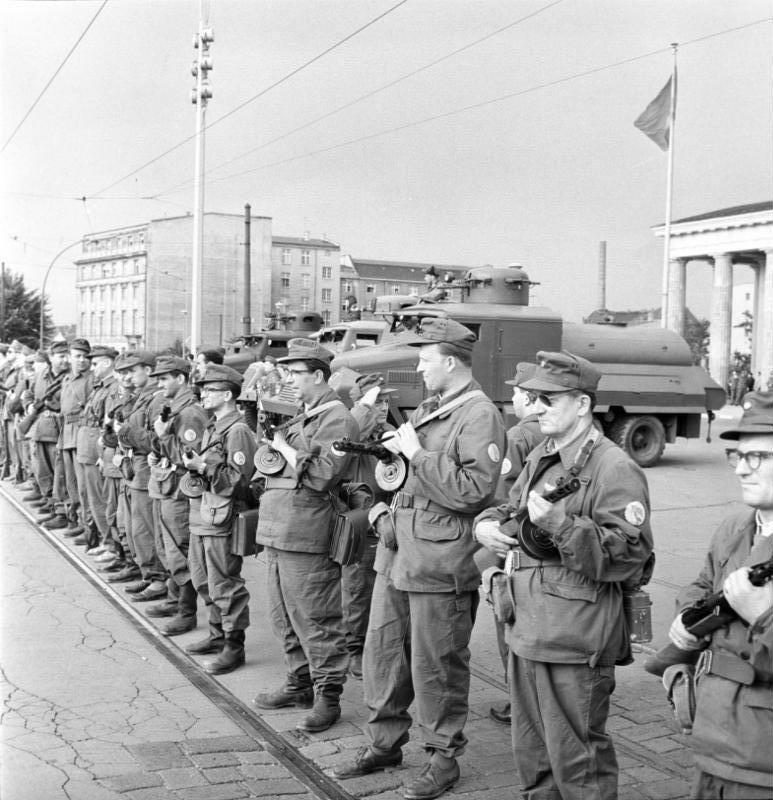 On August 12th, 1961 the city again became a central point for Cold War tensions again when East German troops locked down the border between East Germany and West Berlin. West Berlin was effectively surrounded. The East German troops laid barb wire and makeshift fences across the border, establishing an early version of the Berlin Wall. Before the creation of the wall, Berliners on both sides were able to move freely throughout the city. People were able to cross the border in order to work, shop or visit with others. The creation of the wall effectively ended this and it had devastating effects for Berlin families, because some family members were now separated and unable to see each other. The East German government claimed the wall was built to protect East Germany from western aggression. 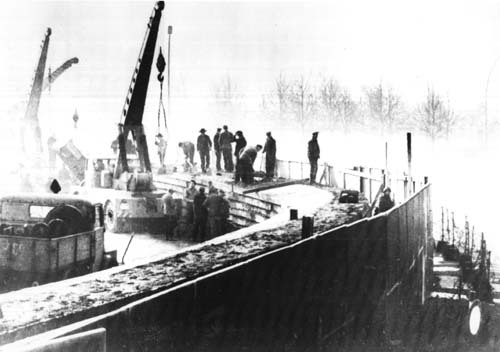 However, many westerners viewed the creation of the wall as an attempt by the Soviets to stop East Germans from fleeing East Germany into West Berlin. In the years leading up to the creation of the Berlin Wall nearly 3 million East Germans fled to West Berlin in search of economic and political freedoms not available in the Soviet controlled territory. This was an embarrassment to the Soviet Union and they sought to stop the flow of people to West Berlin. The early wall was eventually replaced with a concrete wall with watchtowers, bunkers and trenches. The wall was 12 feet high and was nearly impossible to climb over. A second fence was later built that ran parallel to the original creating a space in between that became known as the “Death Strip”. East German troops patrolled the wall and were ordered to shoot any would-be escapees on sight. West Berlin essentially became an island of capitalism and western values inside of Soviet controlled East Germany. In June of 1987, United States President Ronald Reagan visited West Berlin and delivered a speech to West Berliners at the Brandenburg Gate. As part of his speech, Reagan famously challenged then Soviet leader, Mikhail Gorbachev, to open the Brandenburg Gate and to “tear down” the Berlin Wall. 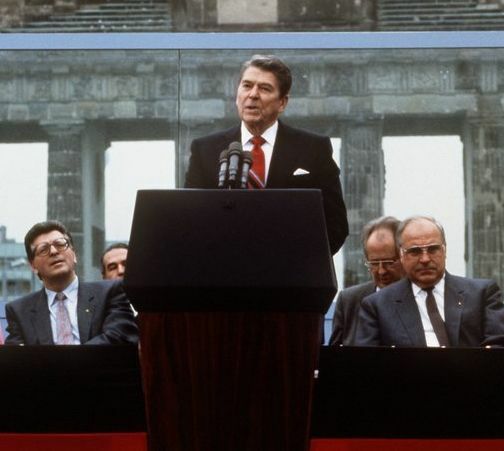 Reagan’s speech was unexpected and his challenge to Gorbachev to “tear down this wall” became one of the most famous phrases from the entire Cold War. Ultimately, the speech put pressure on the struggling Soviet Union and soon a change was to occur in Germany. ​The Berlin Wall would last for nearly 30 years and came to symbolize the divide between The United States and the Soviet Union during the Cold War. 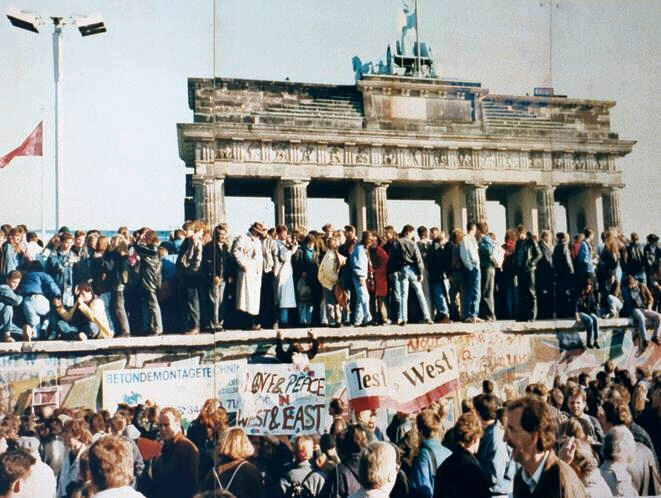 On November 9th, 1989, the East German spokesman announced a change in policy related to the Berlin Wall. He effectively announced a change in his countries interaction with the West and that Berliners were now free to cross the border. That night, both East and West Berliners gathered at the wall and celebrated an end to the wall that had divided their city. They used hammers, bulldozers and cranes to dismantle and demolish the wall. The fall of the Berlin Wall symbolized the crumbling authority and power of the Soviet Union and the lessening tensions of the Cold War. East and West Germany would eventually be reunified on Oct 3rd, 1990.